During his 31 years of private practice in Jacksonville, Florida, Dr. Nezami has performed over 16,000 cosmetic surgeries and procedures. His past experience in cosmetic and reconstructive surgery includes countless face, body, and hand reconstructions. His uncompromising integrity, honesty and compassion have earned him the respect of his colleagues and the loyalty of his patients. Dr. Nezami was raised in beautiful Paris, the city of art, where he developed his affinity for aesthetics, detail, and precision, and earned his medical degree at the University of Paris, France, School of Medicine. He pursued his general surgical training in France, and deepened his expertise through an additional five years of training in both general and plastic surgery in the United States. An innovator, Dr. Nezami continually refines his techniques; his expertise encompasses the latest, most advanced procedures in plastic and cosmetic surgery. Founded in 1981, his Jacksonville practice provides the entire range of cosmetic procedures for the face, neck, breast and body. 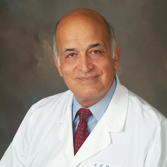 Dr. Nezami has been recognized as the "Top Doctor for Plastic & Cosmetic Surgery" in Jacksonville by Castle Connolly Medical, Ltd. www.castleconnolly.com.